Oh, Mount Trashy. You do fireworks so brilliantly every year, and while you may not be a real bluff, you're as close as we get to it around here. 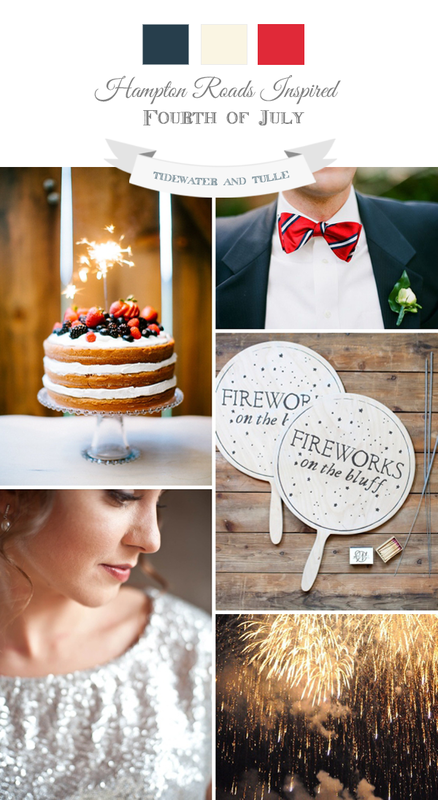 So for this month's local inspiration board, we are celebrating our Independence Day with some local fireworks, classic wedding details, and a whole lotta sparkle! Subtle red, off-white, and blue pops of color can give any wedding a touch of the patriotic without going overboard. And pair it with a sparkly metallic? You've got a winning combination for an elegant summer celebration!